PROGETTAZIONE CAD 3D You have an idea and you have to develop a prototype ? COMPUTER PROBLEMS you've found the solution! Are you unhappy with how you come later, or you're not following it at all? Do not worry, experienced certified professionals are available to meet and evaluate the solution. You need to develop applications to speed up your work and increase your productivity? Arrange a meeting, programmers, our consultants will evaluate the project in order to offer you the ideal solution. Want to know cloud world but you are not yet ready? 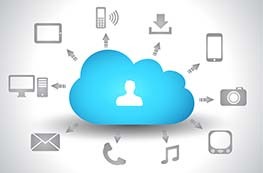 Cloud services for your company expect to be used to improve your system. The computer skills of your team need updates? Teachers are prepared at your disposal, remember that there are about various European funds to draw upon resources, please contact us and we'll give you advice on together we will prepare a training plan. WEB SITE DEVELOPMENT Do not have a website or the current need restyling? Through continuous training ITProject study develops software on the latest technologies and programming languages. Design and implementation of corporate networks from the simplest to the most complex in the cloud or at your facility. Accompanied by Microsoft certifications MCP, MCSA, MCDBA, MCT ITProject offers training courses for your businesses. Today the 3D world, developing and printing, it's very growing ITProject,accompanied by certifications SOLIDWORKS CSWA CSWP , offers development and drawing parts and assemblies in 3D , and 3D printing for businesses and professionals . From a long experience of collaboration with leading software house in the North East Italy ITProject born. Founded by Andrea Fasoli, consisting of trusted professionals, ITProject is proposed as ideal consultant for the creation of ad hoc software based on the most modern technologies, enterprise network management, the implementation of cloud computing, computer training of staff. Point of reference for many companies, ITProject provides a continuous consulting and computer support for your business; by managing the hardware implementation and optimization of your corporate network, the development of ad hoc software applications, consolidating your business in the cloud, adaptation to current regulations, ITProject offers a 360 ° view of all the needs of computer industry, that your company requires. Strength of the company, the reliability represents a mast to follow, with great satisfaction we can say that we, the customer finds a reference count on. The advice given is an end to the identification of the best solution of the problem that is going to face, in front of the various possibilities together we aim to identify the choice that leads to maximum benefits with minimum costs. A satisfied customer is a goal to which we never wanted to give up and to which not give up in this light rather than a customer who comes to us is seen as a partner. Backed by certifications (MCP MCSA MCDBA MCT) by a team of experts and years of experience, ITProject provides the expertise you need. Various achievements with customers support us on such statements.